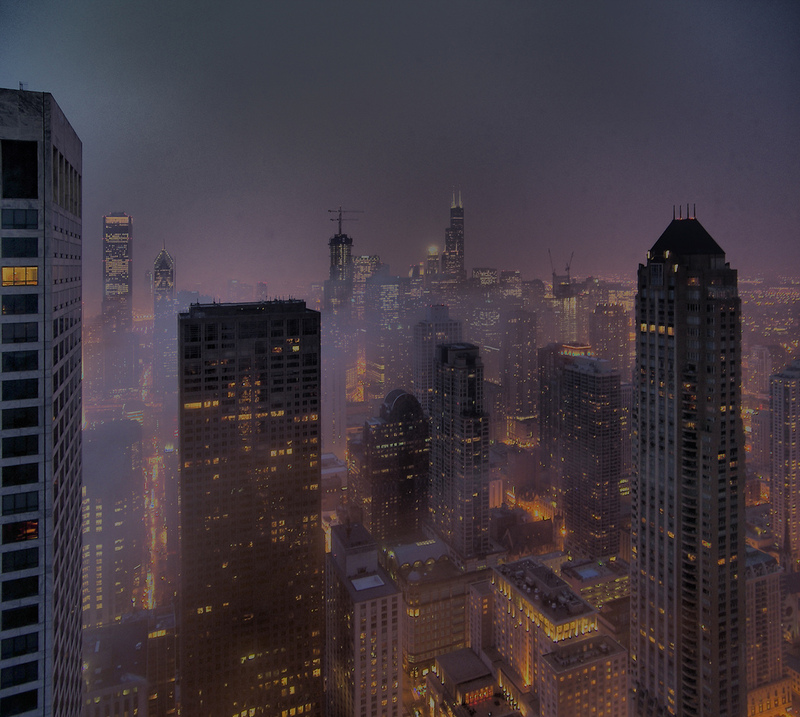 Despite the many problems that residents of Chicago have faced over the last century, the city has been able to remain one of the most important architectural hotspots in the world. 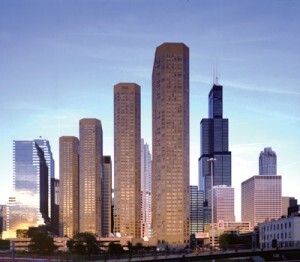 When we think of Chicago in architectural terms, the most recognizable contribution the city has produced are its groundbreaking skyscrapers. It is not only the birthplace of the high-rise, but it has also been a place that has carried the evolution of this building type forward, with modern, post-modern and contemporary masterpieces scattered throughout the city. 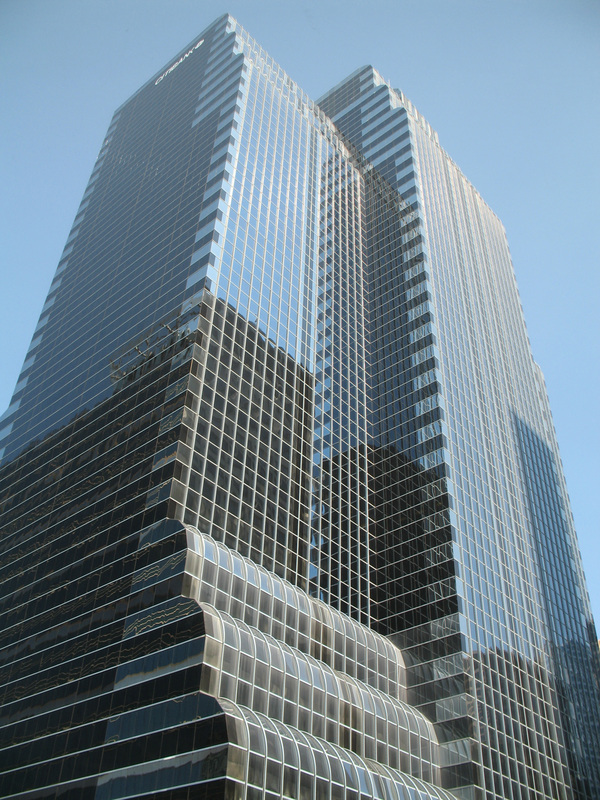 Going back to the title of my post, I am now embarking on a quest to find the truest example of the most accomplished high-rise in the city that witnessed the birth of the first modern skyscraper. Before we begin though, there are questions like “what makes a high-rise building great?” that could very well be the subject of contentious debate before I even get started, thus making a preliminary discussion necessary. 1. The building must be well-constructed. In order to be considered great, a high-rise must have endured the wear and tear of weather and time, having been able to maintain its quality and “character” over time. 2. The building must be original or, to be more specific, it should solve a unique problem with a unique solution that advances high-rise architecture either aesthetically, technologically, programatically and/or structurally. 3. The building should address its context in some meaningful way, both in terms of site and as an entity representative of its time. 4. The building should fulfill its function. No great high-rise should fall victim to the wishes of designers that look to make little more than a technological and/or aesthetic statement. Besides all of those aspects, the buildings that will be touched upon in this series will be unavoidably subjected to my personal taste, which is in constant evolution and reevaluation, thus making broad generalizations about my likes and dislikes rather pointless at this point. It will be much easier to get a sense of what I tend to value once my study comes to a conclusion. Now some of you may wonder, how does he intend to find the perfect skyscraper in a city full of great examples? There is certainly no easy way. However, I can, at first, try to narrow down the choices by establishing a simple fact: the vast majority of high-rises clearly fail in at least one of the basic principles established above. Most projects lack the imagination or the uniqueness to be considered in great detail. Others simply do not address site and context as successfully as they could have. Sadly, there is also a number of high-rises that fail even at the most basic level and cannot cope with the effects of weather and time due to poor construction, poor material selection and/or poor detailing. 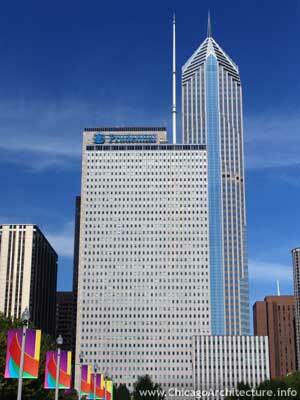 The Prudential Plaza 1 & 2: a couple of modern and postmodern regurgitations by Murphy/Jahn. The second being the ugly offspring of the great Chrysler Bldg. in NYC. 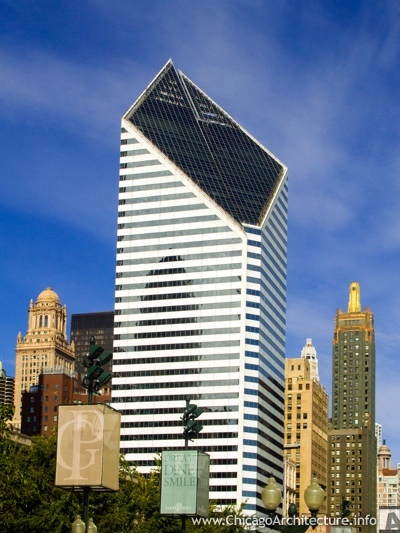 The Illinois Center: a less accomplished Miesian production that was conceived by his firm after his death. Citigroup Center: a postmodern train wreck of bad taste for a train hub and the Citibank headquarters. Yet another extremely tacky production by Murphy/Jahn. The Presidential Towers: a cheap and severely misconceived big project that dominates the West Loop skyline with its awful brown tint. The Smurfit Stone Building: commonly referred to as the “building with the diamond shaped roof”, or simply as “that building with the crazy roof”. This is the best example of aesthetics taking over a project to produce a technically disastrous building. Yes, the tower is a hit with tourists for its bright colors and unique roof, but the truth is that the building sacrificed a significant amount of floor space, and gave engineers headaches when chunks of snow started to dangerously fall on pedestrians due to the unresolved steep slopes of the roof. Having established the basic ground rules of my search and introduced some famous high-rise disasters, I will begin the in-depth analysis in the second part of my study. 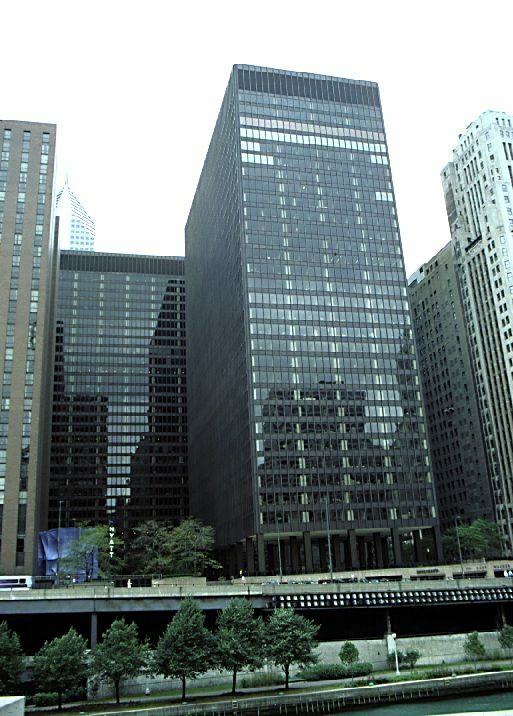 I will start to touch upon some respectable skyscrapers like the former world’s tallest, The Sears Tower, and older efforts like The Merchandise Mart, that fall just short of greatness.